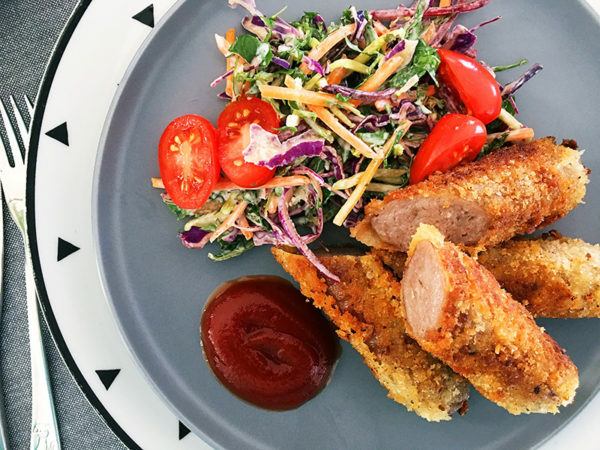 From the 101 ways with sausages file, I present to you a crumbed sausage recipe, which is a slightly fancier way to serve your kids’ favourite meal. 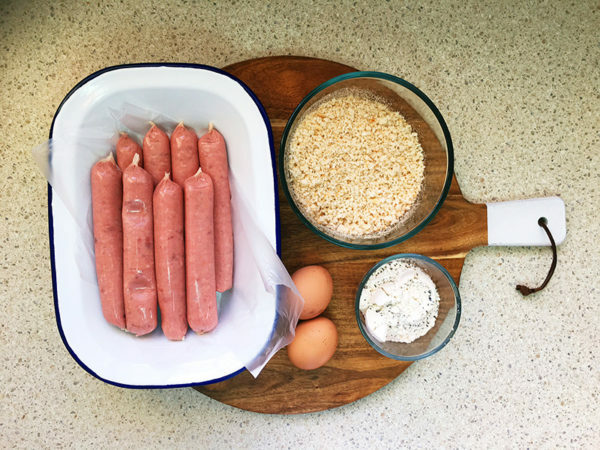 I know there are kids who just love a good sausage – so much so, they’d eat them every night – but for the rest of us, it’s nice to know there are ways to dress up the humble snag. 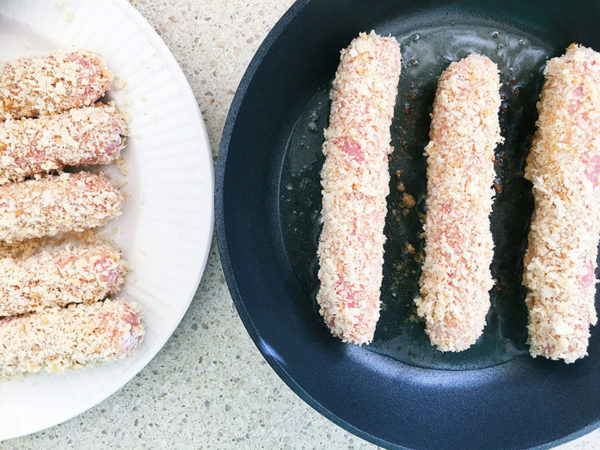 Crumbed sausages are budget friendly, and the crunchy exterior is sure to be a new sausage favourite. 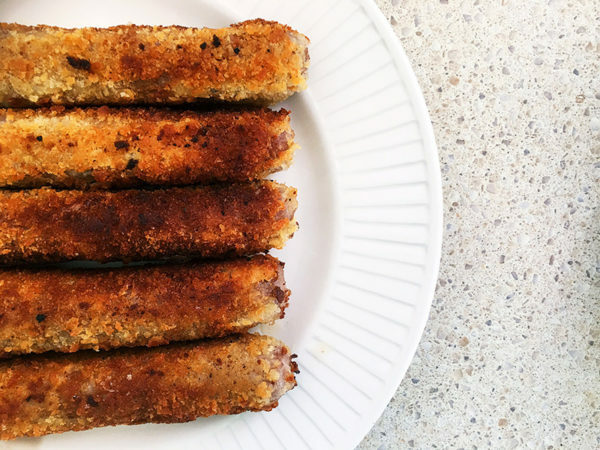 I have shallow fried these crumbed sausages, but there’s no reason you couldn’t oven bake or even cook them in an air fryer if you have one. Step 1: Using three separate bowls, set up a crumbing station. 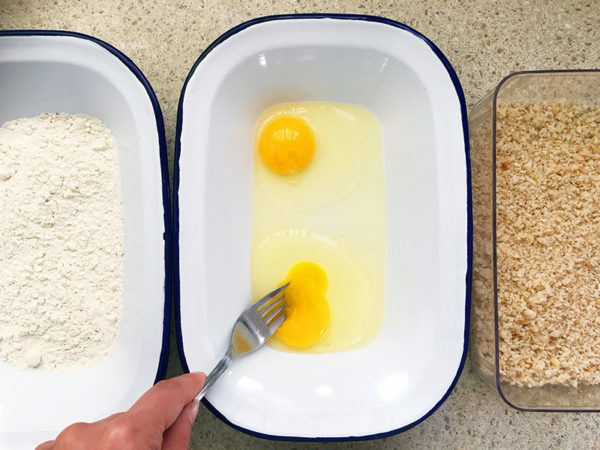 One bowl for flour, seasoned with a pinch of salt and pepper, a second bowl for the eggs, beaten lightly and a third bowl for the breadcrumbs. Step 2: Pierce each of the sausages several times with a sharp knife. 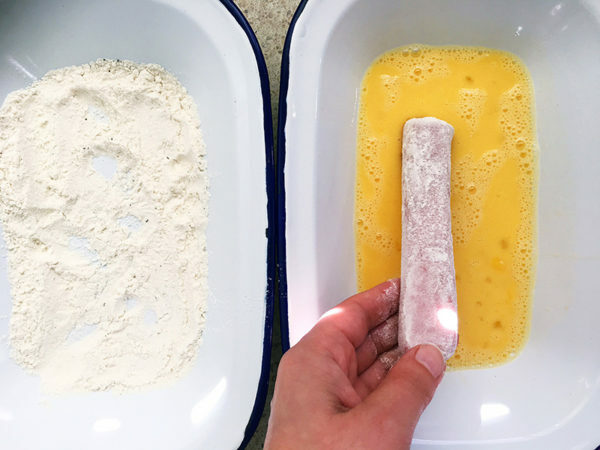 Step 3: Roll the sausage in flour, followed by egg and finally roll in breadcrumbs to coat. Transfer to a plate and repeat the process for all sausages. Step 4: Heat a glug of oil in a frying pan and over a medium heat, fry the sausages, carefully turning until golden brown and cooked through. Step 5: Once cooked, transfer to a plate and let sit on a pad of kitchen paper towel for a minute or two to mop up excess oil. Serve with salad or vegetables and don’t forget the staple condiment, tomato sauce!